It’s that time of year! Yes, spring is finally here, and folks in the Midwest are starting to see subtle signs of ice melting and trees blossoming. San Francisco is about to blossom as well with more than 5,000 savvy marketers, influencers, and innovators looking to reinvent and reinvigorate the Fintech space at the LendIt Fintech USA conference. The cast of speakers and attendees widens every year, allowing the financial picture to come even further into focus for both the lender and consumer. Last year, the leaders in the industry challenged attendees and sponsors to consider how they could enhance their products and improve the financial health of the American consumer. I’m eager to see if they held true to their word of recognizing organizations for financial inclusion, regulatory innovation, and consumer product alignment. In turn, did these measures pay off for both the company and the consumer? The folks from Tally, LearnLux, and MoneyLion are hosting a session on exactly that—designing a product that motivates customers for good behavior. User experience and speed of funding continue to be the primary benefits marketplace lenders have used to lure borrowers away from traditional banks. In the past couple of years, traditional banks have recognized that if their platforms don’t catch up, they’ll continue to see erosion in their business. I’m curious to hear thoughts from American Express, Bank of America, and Citizens Bank on their efforts to match the speed of funding and experience offered by Fintechs today. Changing brand perception isn’t like flipping a switch. Fortunately, traditional banks have credibility, stability, and relationships with countless members. Cross-selling to those members with the right offer based on historical insights and sophisticated data via a multichannel strategy could allow for a rather large land grab. I’m looking forward to hearing HSBC’s Head of Innovation Jeremy Balkin’s presentation about how technology and user experience are driving what they call a “new age bank branch.” FICO has been seen as the ruler in underwriting for decades, but the folks in Fintech know that’s only a piece of the puzzle when evaluating risk and credit worthiness. Now along comes UltraFICO, a new credit model targeted at borrowers establishing (or re-establishing) credit. Maybe this truly is the opportunity for the American consumer to demonstrate responsible financial behavior and open up more lending options and better terms. Having played a significant role in the growth and success of some of our Fintech partners, we see the space through a different lens. We’ve adapted our targeting to fully leverage credit data beyond the mail to allow our clients to have a personalized conversation across multiple channels. In an environment where people are inundated with information, reaching your preferred audience on their level is key. We’ll be taking a look at three new approaches to help you reach your audience and maximize your marketing dollars on Monday, April 8, at 11am in the Expo Hall at the Innovation Demo Hub. If you miss our brief chat, you can find one of our direct response experts at Booth #1527. Without a doubt, there are more lines in the lending pond these days. which means the number of times the average American consumer is solicited has doubled, if not tripled, in the past year. 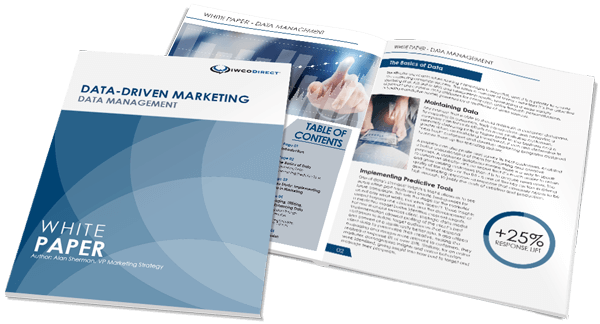 It’s never been more critical to have a refined strategy, target, offer, and presence that can drive the right response—the one that converts. The struggles marketers have with attributing response across their omnichannel approach is only amplified in organizations with marketing silos. Our expertise in lending and numerous verticals has allowed us to help our clients solve the questions that keep them up at night (or at least the ones the CEO wants answers to). What’s the right frequency? How deep should I mail? What’s the benefit of leveraging a holdout cell or incorporating random mail? How frequently should I update my model? What’s the anticipated lift when aligning direct mail and targeted social? Can I retarget individuals who abandon the online application through off-line channels as well? We’re excited to be at LendIt Fintech USA again this year to collaborate with established and new lenders to help address acquisition marketing challenges. Don’t be shy! Set up a Brella meeting (like speed dating for networking) and get the scoop from us directly.